First of all, we’d like to express our appreciation for everybody who has supported Die Young since we went into Early Access on Steam this summer. More than 10,000 EA supporters have allowed us to push development forward at the pace we promised and, hand-in-hand, we’re crafting a truly thrilling indie game experience. 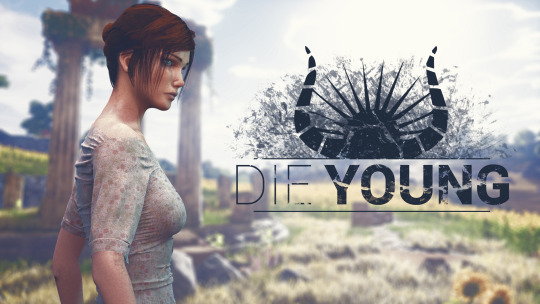 You can check out some of the gameplay videos for Die Young and, if you’d like to join us and our community on this journey, we welcome you with open arms! Recently, we discovered that pirated copies of Die Young were being hosted on dozens of sites by pirates who crack Steam protection. Candidly, this is good news and bad news for us. If you don’t have enough money but you want to play the game, or if you simply want to check if your hardware is able to run it smoothly, we’re providing safe, DRM-free access to Die Young (Version 0.4.37.18) on IndieGala until December 31st 2017. There’s no catch and no strings attached. Our sole request is that if you enjoy playing and would like to support our game-making efforts, consider purchasing Die Young in the future. You can do it from indiegala.com/dieyoung, or from the Steam store. As you prefer. We think this is truly a #GamersUnite moment. Don’t support those who would knife game developers in the back. All devs are trying to do is create an enjoyable experience for you.